The President of the Specialized Criminal Court Georgi Ushev has purchased in 2017 two land plots in the affluent Sofia suburb of Bankya for EUR 12 per square meter. The properties are located in the center of Bankya and are under a low-rise construction regulation. According to information from sites for real estate sales, it is extremely hard to find a price below EUR 50 in Bankya. 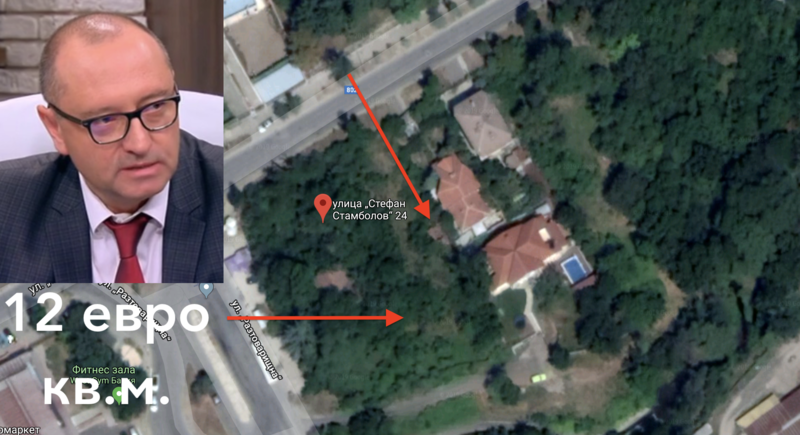 Moreover, Georgi Ushev’s property declaration is missing a small 19-square-meter residential building, which had not been entered in the Property Register as well. The Cadaster and satellite maps show that the land plots are adjacent; one of them faces “Stefan Stambolov” Street. There is a luxury house with a swimming pool next to it, but it is missing in the Cadastral map. Now it turns out that Ushev himself has to be probed for these transactions at impossible for Bankya prices.